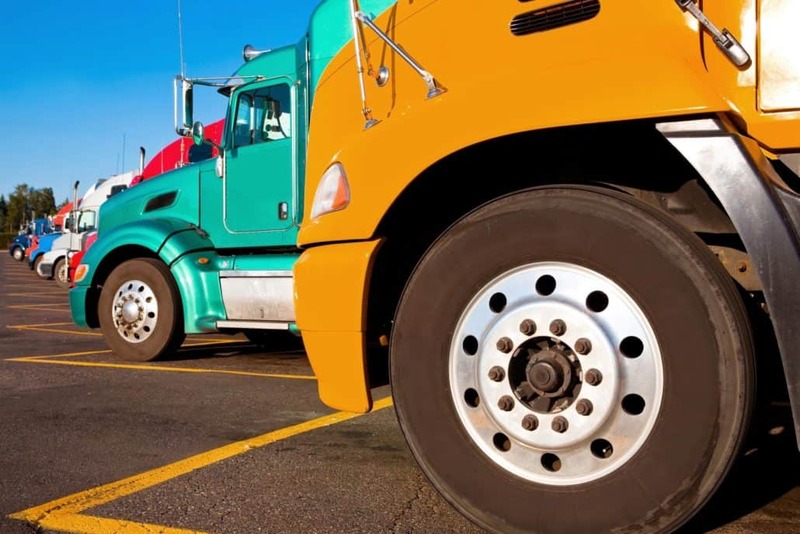 Are you in the transportation industry and thinking about leasing a commercial truck instead of buying one? Weigh the pros and cons of leasing instead of buying before you decide what is right for you, personally. This guide to leasing a semi truck will be dependent on your personal financial situation, your future plans as a trucker and many other variables, but the general pros and cons are definitely worth considering before making your final decision. Obviously buying a truck is expensive, but if you lease you might be able to put little to no money down. This means you could have your truck sooner than having to save your money for months or trying to qualify for a loan. If you have less than perfect credit, you might not even be able to get a loan at all, so leasing can be a better option. If you decide to lease your semi truck, it’s far less of a commitment than purchasing a truck. If you’re new to the trucking industry, it might be a better option to lease in case you end up wanting to switch career paths. If you purchase, you have to go through the challenge of selling a truck rather than just terminating your lease if you decide that trucking isn’t for you. Leasing a semi truck instead of buying your own is financially less of a risk. You’ll know the set amount every month you’re expected to pay when you lease and it offers you more flexibility in years to come rather than purchasing and owning a truck. If you’re slightly unsure about owning your own truck, leasing might be right for you. If you decide to lease a truck, it might be newer than the truck you would be able to afford if you purchased your own, so there should be fewer and less frequent payments for maintenance purposes with a leased commercial vehicle. Who doesn’t want the latest and greatest technology? If you lease your commercial vehicle, you’ll be able to upgrade your truck to include features you might not be able to implement into your truck if you own one. Remember how much you loved your first car, even if it was embarrassingly old or ugly? Some drivers love their trucks just as much as they love their pets, kids or spouse (maybe even more!). If you purchase your own, you might not be able to upgrade the technological features as often, but it’s yours to make your own. You can’t really modify a leased truck like you could if it were your own. Although the amount you need initially to purchase a truck is a lot upfront, if you don’t end up buying a truck at the end of your lease, it might end up costing you more than it would have if you just bought one from the start. If you lease your semi truck, make sure you carefully read and examine the lease agreement before you sign. If you lease from the company you work for (if you aren’t an owner-operator), you might not be eligible for health benefits. They might even deduct the cost of the leased truck right from your paycheck, which isn’t necessarily horrible as long as you know what you’re getting yourself into. In addition, some contracts will make you set aside specific amounts of money for different types of repairs, but the money set aside might not even be used for those repairs. As Truckers Report explains it, “If your tire escrow account has $1,000 in it, but the carrier requires a tire repair expense to be at least $500 before you can tap into it, you will be forced to pay most tire-related expenses yourself.” This might be frustrating if the situation arises. So, should you buy or lease? One of the biggest factors to consider when deciding whether you should be buying or leasing a semi truck deals solely with your financial status. Learn more about how freight factoring can help you get the funding you need to buy or lease a truck. Contact us today to start factoring your freight bills and to make sure you’re getting the best rate in the trucking and transportation industry.